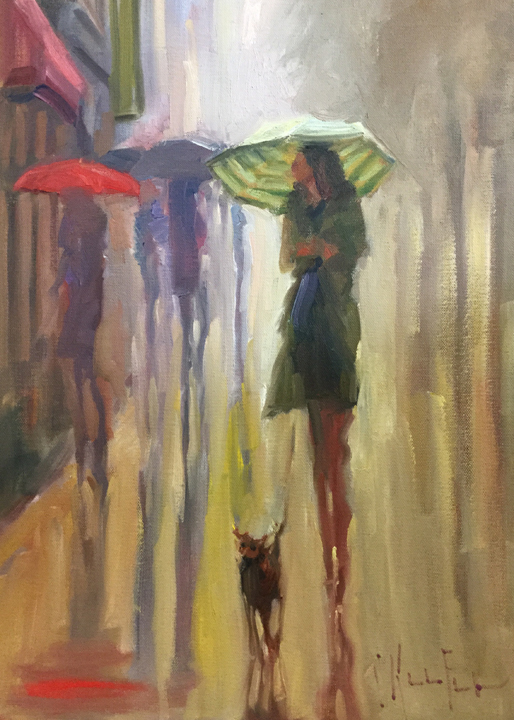 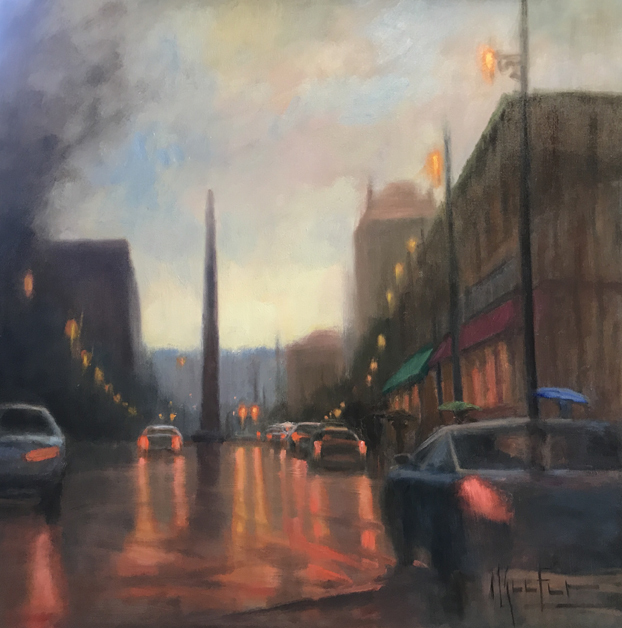 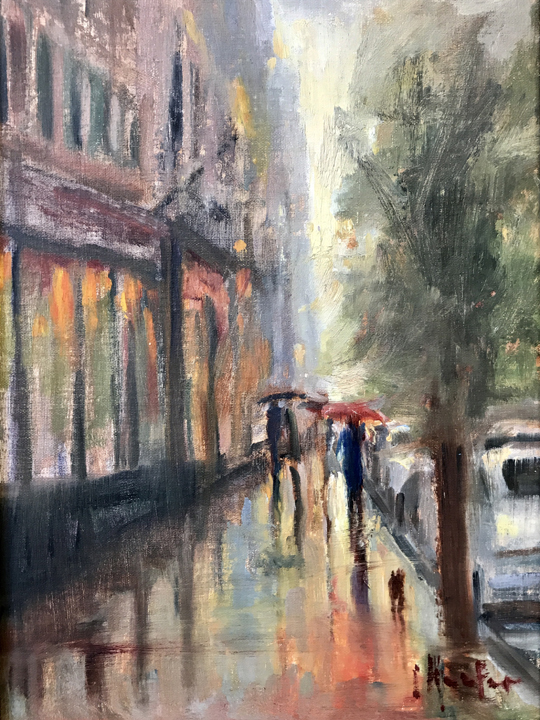 While threatening weather might send other outdoor painters packing up, Asheville artist Cheryl Keefer is drawn to paint those rainy day landscapes and city scapes. 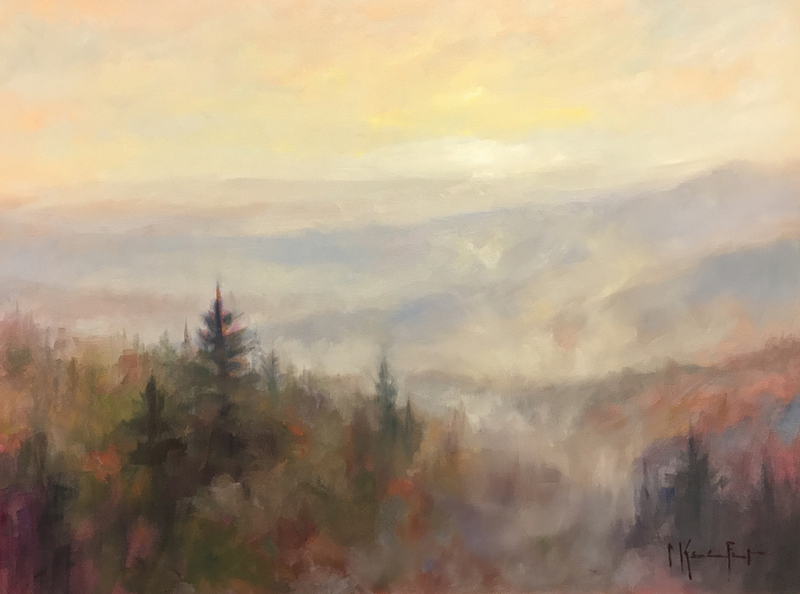 In fact, a delightful segment of this interview is hearing Cheryl laugh about a recent time she started painting with good intentions to “branch out” by depicting a sunny day. 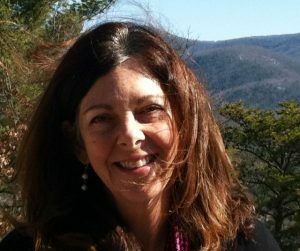 With a BS in Art Education and an MA in art history, Cheryl talks about having a long career in teaching, although not as a traditional art teacher. 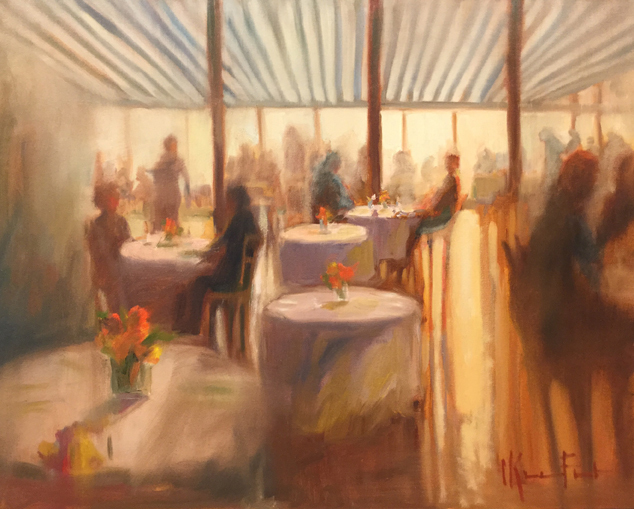 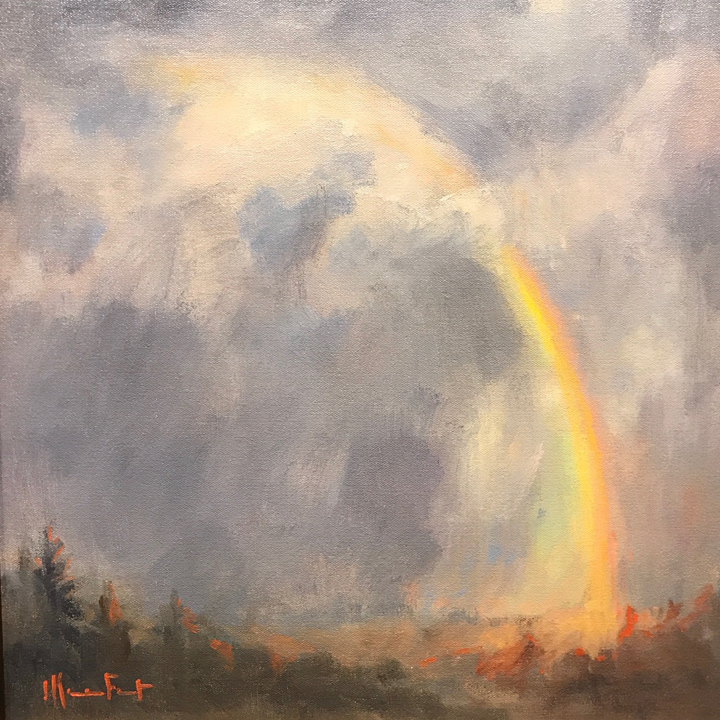 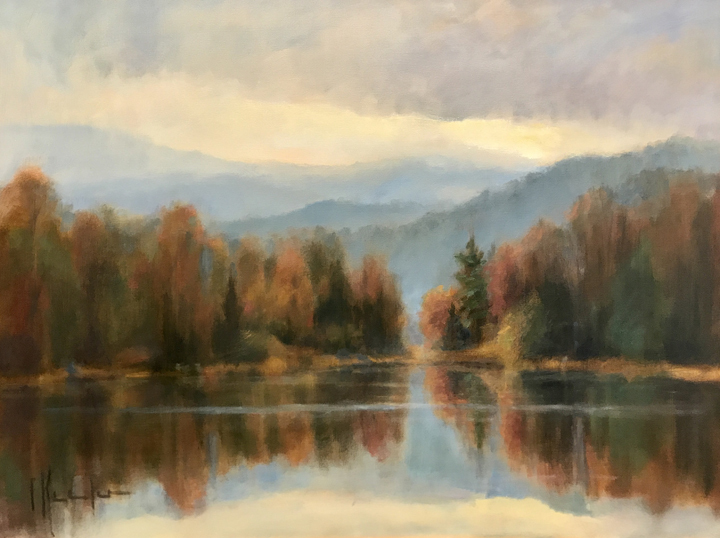 Now that she has moved to Asheville in retirement, she is able to devote herself to her longstanding love of painting, creating her work both plein air (outdoors) and at her studio in the River Arts District at Northlight Studios. 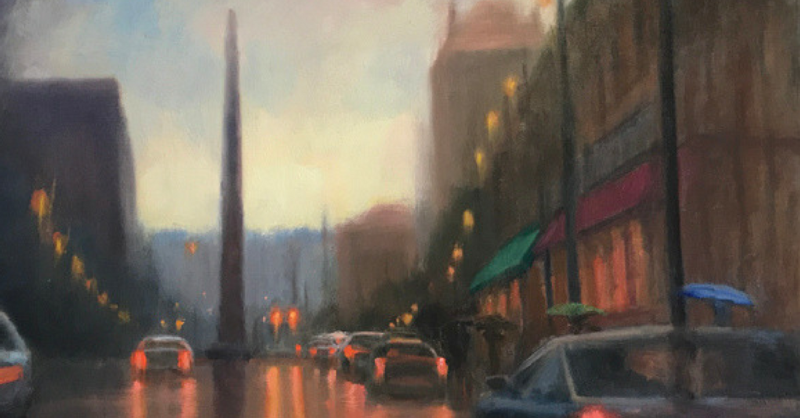 She also enjoys using her plein air skills to paint on-site at weddings.